The 2018 Goodwood Festival of Speed gathered together an amazing array of Formula 1 cars from all eras of the sport. We filmed them all through the tricky Malecomb corner. How many can you name and which is your favorite? Williams-BMW FW26. Juan Pablo Montoya’s glorious 3.0-litre V10, set the fastest ever lap at power-hungry Monza. Hear her howl! Eagle-Westlake T1G. An F1 race winner in the hands of Dan Gurney. Matra-Cosworth MS80. Powered by the much-loved Ford DFV V8. Tyrrell-Cosworth 006. 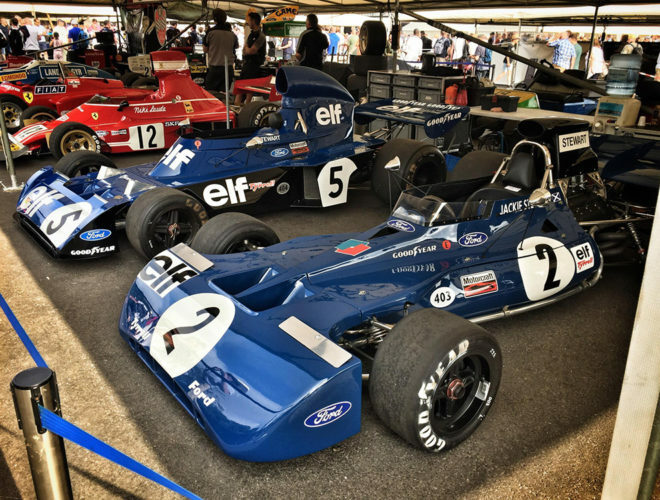 Francois Cevert’s and Jackie Stewart’s mighty blue beasts from the ’70s. Ferrari 312T. Flat 12, Niki Lauda’s championship-winning car in 1975. Lotus-Cosworth 49B. The legendary F1 car, first ever decked out in cigarette advertising. Lotus-Cosworth 79. The car that fully embraced ground effect, duly dominating in the hands of Mario Andretti. Renault RS01 / RE40. The cars that debuted the first turbocharged engine. The former nicknamed the ‘smoking teapot’ for all the smoke it emitted. Ferrari 126 C4. A race winner for Michele Alboreto. Lotus-Renault 97T. The car that gave Ayrton Senna his first F1 win and thrust the brand back into the limelight. Beatrice Lola-Ford THL2. Not successful on the track, but with input from young up-and-comers, Adrian Newey and Ross Brawn. McLaren-Cosworth M23. James Hunt’s drivers’-title winning car. Very special. Toyota TF108. Never won a race, infamously, but still a V8 F1 car, so we approve. Ferrari F150. Had a blown diffuser and a name disputed by Ford. Renault Red-Bull Racing RB8. Seb Vettel’s come-from-behind, championship-winning machine. Special car. Mercedes-Benz F1 W06 Hybrid. Didn’t win first year out. Set the benchmark which competitors would chase for the next two years. Be sure to check out our 2018 Goodwood Festival of Speed video and picture gallery. So, how many of them did you get correct? 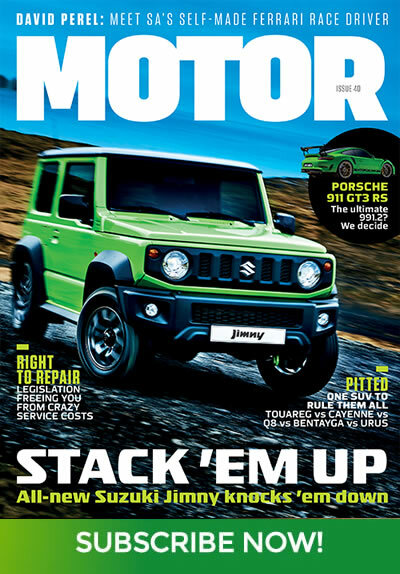 Motoring scribbler, car wrangler, Editor @ Motor Magazine, motoring group editor Highbury Media (HM) lifestyle titles.